Antioxidants are good, right? Wrong! According to Cochrane, a statistical trainsmash of the results from all relevant clinical trials found that beta-carotene, vitamin E, and higher doses of vitamin A increase mortality. Some countries aren’t govt funded to license that link, so in brief: a collate of 78 studies with 297,000 participants determined that antioxidants caused harm. One might think that this made marketing of such products a little awkward, but its publication in 2012 hardly sent shockwaves around the world – indeed the report is one of many similar findings. Free radicals in advertising? Sure they can stay, although Trump may want to lock them up. Thanks Ron, now for the weather…. A little science (sorry), oxygen oxidates – that’s what makes metals rust. Stable oxygen or O2 does the opposite, it ‘reduces’ one electron at a time, becoming more oxidative in reactive species (ROS) superoxide ->hydrogen peroxide->hydroxyl. These free radicals are biologically toxic – the immune system uses such ROS to kill invading microorganisms. Lipid peroxidation is the process of cell membrane destruction by radicals (and this can be a programmed termination), so the body relies on antioxidant enzymes to keep this in moderation. The danger of hydrogen peroxide’s potent reactivity is shown by its use as rocket fuel, and in torpedoes – where there’s no air to burn in any conventional engine. A leak was responsible for the explosion that sank the nuclear submarine Kursk. We’ve been designed to run on rocket fuel, and no supplements can stop this. In 1956 Professor Denham Harman argued in the Journal of Gerontology that breathing oxygen caused free radicals to prosper, ultimately leading to death. You can’t read that without a subscription, sorry again. In interview he explained: “I was sitting there reading. All of a sudden the phrase ‘free radicals’ crossed my mind. You know just ‘out the blue’. I’m sure you’ve had the same experience…. And it was apocryphal, it just was born of thin air! No one … everyone accepts it and no one has a clue to the source!“. Aside from the decade spent getting the idea to take root, this theory became mantra but has recently come under challenge, such as the article ‘The free-radical damage theory: Accumulating evidence against a simple link of oxidative stress to ageing and lifespan‘. I’m really, very sorry again, but this important research on whether oxygen is a good thing is also copyright. It’s only relevant to the cave salamander (Proteus anguinus) and the naked mole rat (Heterocephalus glaber) anyway, since these clever critters live up to 8 times longer than is typical, thriving under high oxidative stress in the absence of protective antioxidants – levels about 70 times lower. Perhaps exposure to advertising is proving fatal to our species? On the other hand 28 scientists collaborate in speculating that Harman’s thought bubble was a blunder, questioning accepted dogma that the longer you breathe air the closer you come to death. I published a report on the efficacy of hyperbaric oxygen (HBOT) for neuralgia – the pain arising from damaged nerves. Anyone clipping a pulse oximeter to their finger nailbed knows that their O2 saturation is ~98%, nearly perfect due to uptake by haemoglobin (making blood red). HBOT in a compression chamber also floods the plasma with dissolved oxygen, and ROS increases exponentially. Explaining the seemingly contradictory harm from oxidative stress was avoided by citing arguments about preconditioning – HBOT kickstarts natural responses. Speit calls it adaptive protection, and Deneke describes a rebound effect, whereas Thom considers the brief exposure in HBOT as minimal harm risk from ROS (a natural process anyway). One HBOT benefit is after traumatic brain injury – the vasoconstrictive effect of oxygen reduces cerebral fluid hence intracranial pressure, without compromising perfusion. 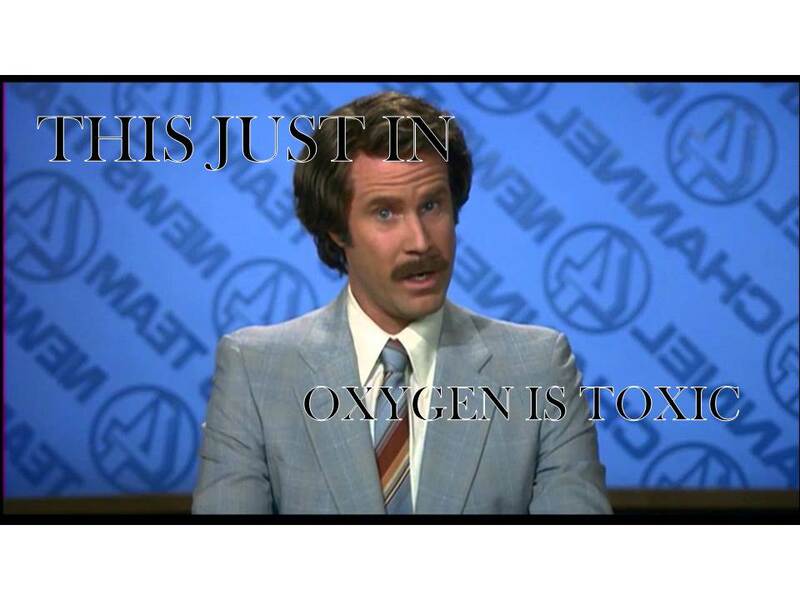 Hypoxic neurons die, whereas if you overdose on oxygen then temporary convulsions are the worst that can happen. Another Cochrane review discusses the consequence of such therapy – the authors raise moral issues of how much improvement justifies keeping alive (potentially) severely brain-damaged peoples. HBOT for Multiple Sclerosis is commonplace in the UK, but poor quality of clinical trial evidence raises the question over exploitation of vulnerable people clutching at straws. 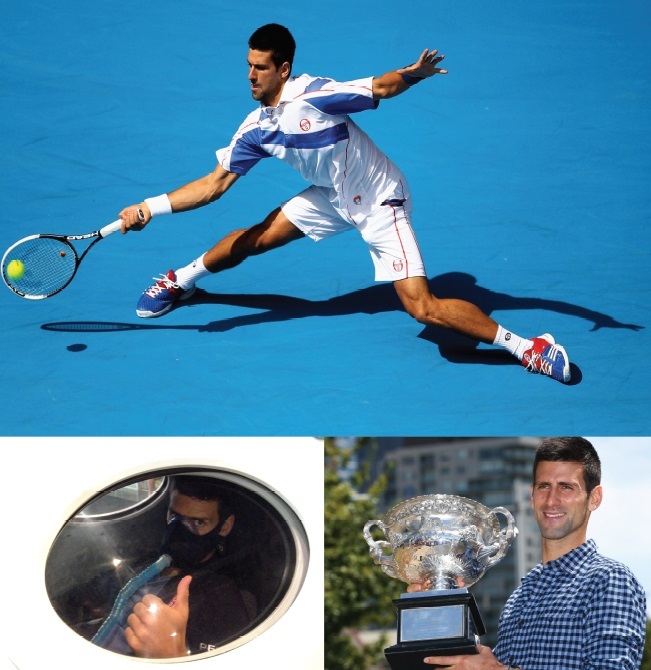 It’s also an interesting therapy for connective tissue disorders, and although benefit for sporting injury has been disproven , world #1 Novak Djokovic relies upon the treatment. Most centres (6000) are in China and Russia, with 306 in Mexico as reported in the ‘Physiology and Medicine of Hyperbaric Oxygen Therapy’ chapter contributed by Gerbino & Hampson, 2006. Medicine discredits much of their available research as evidence, either due to perceived bias or translation difficulties. Oxygen builds you up, knocks you down, and builds you up again. The recent publication ‘Dual effect of oxidative stress on leukemia cancer induction and treatment’ informs us that ROS induce cancer, but that’s also how the cytotoxic chemo drugs destroy malignancies “…. only a thin line separates the beneficial level and deleterious level of ROS“. The mitochondria engine powering your cells maintains this fine balance, enough antioxidants to create the ROS and then eventually break them down to water. Six times nominated for a Nobel Prize, Harman also published a paper linking polyunsaturated fats to cancer risk. Perhaps best not to eat avocado, nuts, seeds, fish, or leafy greens, and find air with less oxygen – such as in a high density city? Nutritionists are now rethinking fats, as I wrote elsewhere, meantime take it easy on the antioxidants. Author Geoff’s lifespan is still 40 years short of Harman’s achievement, and I do take a supplement: CoQ10. It’s complex.